There is a huge list of United Nations resolutions that concern Israel; and the Human Rights Council has adopted more resolutions condemning Israel than it has all other states combined. However Israel has not cooperated in many of these but there was no real intervention made by the UN on this issue. From 1967 to 1989 the UN Security Council adopted 131 resolutions directly addressing the Arab–Israeli conflict. In early Security Council practice, resolutions did not directly invoke Chapter VII but UN reiterated the need for a truce. Although the phrase “Acting under Chapter VII” was never mentioned as the basis for the action taken, the chapter’s authority was being used. The United Nations General Assembly has adopted a number of resolutions saying that the strategic relationship with the United States encourages Israel to pursue aggressive and expansionist policies and practices. The 9th Emergency Session of the General Assembly was convened at the request of the Security Council when the United States blocked efforts to adopt sanctions against Israel. The United States responded to the frequent criticism from UN organs by adopting the Negroponte doctrine declared On July 26, 2002,by John Negroponte, the United StatesAmbassador to the United Nations. He stated that the United States will oppose Security Council resolutions concerning the Israeli–Palestinian conflict that condemn Israel without also condemning terrorist groups. During the last conflict in 2009, United Nations Security Council Resolution 1860, was adopted on January 8, 2009. However ultimately, the resolution was unsuccessful. The resolution called for “an immediate ceasefire in Gazaleading to a full Israeli withdrawal, unimpeded provision through Gaza of food, fuel and medical treatment, and intensified international arrangements to prevent arms and ammunition smuggling.” All members stressed the importance of an “immediate and durable ceasefire”.In a statement released immediately after the Israeli cabinet session on January 9, the Israel government stated it would not accept the UN resolution, declaring that “the IDF will continue to act in order to attain the objectives of the operation — to bring about a change in the security situation in the south of the country — this in accordance with the plans that have been approved upon embarking on the operation.” In addition, Israeli Prime Minister Ehud Olmert called the resolution “unworkable” due to continued rocket fire by Hamas. It is in this context we should look in to the stand taken by the new media spokesmen of Mahinda: Mohan Samaranayake. He has said “However the past of certain countries which preach human rights, good governance etc. too should be looked at. They are the ones who invaded other countries to expand their empires while at the expense of thousands of lives. This in the past; and in present, look at what has happened in Iraq, Afghanistan and certain others. Now look at the panel appointed by the UN Secretary General. It was supposed to be an advisory panel. However they now have gone public with their findings, this is grossly illegal. They have also tried to get this document to the United Nations Human Rights Council through the back door, without informing the country concerned – Sri Lanka. There is a procedure when discussing such issues.” But the real situation is that UN apart ‘from going public’ has done nothing to make Mahinda regime implement LLRC recommendations. Recently UN shed crocodile tears about the sufferings of the Tamils and genocidal war that passed thorough their home land. It is very much similar to the situation in the Middle East around Israel. Israel could get away with all its crimes because of good economic and security arrangements with American and the west. Mahinda regime also followed these policies closely. It went to war with military and socioeconomic agreements with US, INDIA and other global powers. So except for some sobs about the sufferings of Tamils no real pressure is exerted on their blue eyed baby Mahinda, by these countries pointed out by Mohan Samaranayaka. Mohan talks like a man who has lost his foot hold and direction; it is the same political decease that has affected both Vasudeva and Tissa Witharana. How Many Deaths Will It Take For A Pradeshiya Sabhawa To Repair A Derelict Road? This is the truth about the UN. It is a body dominated by the 5 members of the security council. So if you have a balance of support nothing much can be done. UN is impotent unless the Big Powers are in consensus. What is evident from the writer is the DUPLICITY of all concerned. There are very few Honest, Decent and Sincere in this world. The rest are mere HUMBUGS and MR is the chosen one by the US, India and the rest of the Global powers, to carry the agenda for them. Mohan Samaranayake faced the wrath of the UN when he gave an interview as an independent Journalist . He was nearly kicked out of the UN for this while working . He had only expressed his views , but the UN would not hear of it . So far for their so called ” Freedom Of speech ” and the independence for the journalists.What is good for the goose is not so good for the gander!. Mohan Samaranayake’s choice as Media spokesman is one of the good decisions that the President has made . The Western countries are committing crimes against the developing countries, but our leaders are committing crimes against our own people. The crimes are the same, but when you make your own people to suffer it will look more uglier and evil than other crimes. The Westerners are well aware of this fact, and playing their cards accordingly. We can’t compare the Westerners crimes in Iraq and Afghanistan with the Sri Lankans’ crimes. We have been committing crimes against our own people since 1948. We must steer the country into the right path, respect and value our people, this is the only way to counterattack the Westerners smart game. Sri Lankans have been fighting since 1948. Now is the time to get the country from the corrupt politicians. Sri Lankan’s deserve better, they have removed the unelected terrorists, now is the time to remove the elected (or self elected) terrorists. The country is halfway through to its freedom. 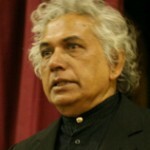 I believe the Sri Lankans intellectuals have the ability to remove the Rajapaksa regime. Now is the time, enough is enough. The corrupted, self-centered, and ignored politicians had the country since 1948. Now is the time to get it back. The Sinhalese people are starting to wake up. I really do not believe Rajapaksa regime can fool the Sinhalese for decades as the LTTE fooled the Tamils. Rajapaksa regime is fooling the Sinhalese that Sri Lanks is going to be wonder of Asia and knowledge hub, as the LTTE fooled the Tamils that they will get Eelam. We all know that Sri Lanka has the highest percentage of brain drain in Asia. Currently the education and justice system are going down. This proves Sri Lanka will never become the wonder of Asia or knowledge hub of Asia. The Rajapaksa regime is demonising the West to cover-up its failures. surely the Westerners are only 8% of the world population, therefore the West will do its best to divide others to rule the world. Having said that, the West has improved a lot in civilisation, there are many things we can learn from the West. I disagree with the UNP. The UNP has ruled Sri Lanka for more than 30 years, but did not govern. If it has govern the country the Tamils would not had fallen into India’s trick and took up arms against the government. I really believe that now is the time to create a new political party and remove the old mindset and ideology. The SLFP and UNP have proved for decades that they do not have the ability to govern. If the UNP got elected again, they will bring the old mindset and ideology, which has been unproductive and useless for decades. Time for the Sri Lankan intellectuals to start a new political party and remove the foolish, useless and unproductive leaders from the power. Conclusion: If you are well ahead in civilisation means that you commit crimes against other races, especially against the developing countries to have your way. If you are behind in civilisation means that you commit crimes against your own people to have your way. When you commit crimes against your own people your crimes looks more evil that others’ crimes. Therefore, if you want to be perceived committing lesser crimes follw the Westerners. I am Mike, you must be Mike from Kenmore!! No offence, my friend!